It is official that CRappler's license got revoked by the Securities and Exchange Commission. 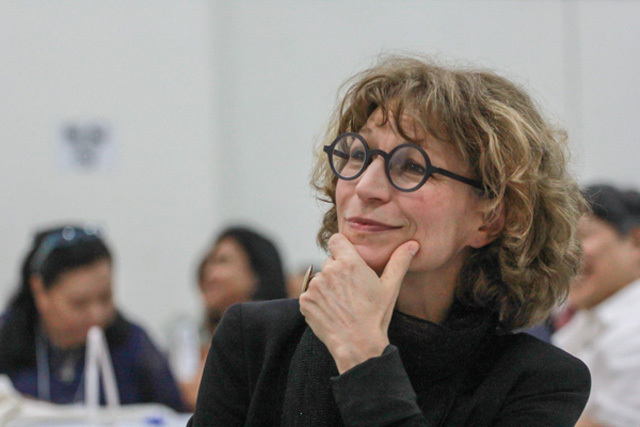 Now, Agnes Callamard vows to help Maria Ressa get her license back. It was said that Ressas and Callamard had a tearful exchange. 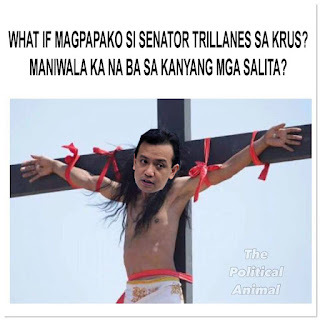 "This is the proof of dictatorship of the Duterte Administration. This is a critical time that Filipinos don't see that they are supporting a dictator and President Duterte himself is that dictator. It's wrong to lock up Leila De Lima because shabu causes no harm. I would like to extend my condolence to Ressa but she should fear not. I will help Ressa sue President Duterte at the International Criminal Court. I have already passed my bid to get Maria Isabel Lopez's license back and my bid to make Jover Laurio a Nobel Prize winner. Now I will file this case that will guarantee the downfall of a tyrant like Duterte to help preserve democracy in the Philippines. A democracy where there will be more freedom unlike Singapore that reeks of third world barbarism." said Callamard on an interview in CNN Philippines. A group of messages that she and Ressa exchanged. Ressa gave her permission to share the messages. She also had conversations with Cheato Gascon, Jover Laurio, Kris Aquino, Cynthia Patay, Agot Isidro, Leah Navarro, Kiko Pangilinan, Jim Paredes, Tom Villarin, Risa Hontiveros-Baraquel, Leila De Lima and Atty. Asus Falses. She also had Philippine Daily Inquirer's archives as a source. News from ABiaS-CBN will also be used. Callamard brags that she has enough sufficient evidence that will guarantee the downfall of President Duterte and expose him as a tyrant. She says that CRappler was simply shut down because it criticized the president. She also dismissed any evidence from the pro-Duterte camp as rubbish and useless saying that Duterter suppoers have no brain and only Liberal Party supporters have a brain.